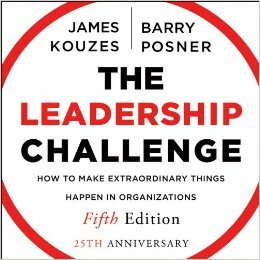 “The Leadership Challenge is about how leaders mobilize others to want to get extraordinary things done in organizations. It’s about the practices leaders use to transform values into actions, visions into realities, obstacles into innovations, separateness into solidarity, and risks into rewards. It’s about leadership that creates the climate in which people turn challenging opportunities into remarkable success” (Kouzes & Posner, 2002, p. xvii). The preface of this book begins with this paragraph, summarizing the concept of leadership that it prescribes. The book was originally published a little over 25 years ago, and became an influential book that was representative of Transformational Leadership. As I described in a recent post, transformational leadership can be defined as “the process whereby a person engages with others and creates a connection that raises the level of motivation and morality in both the leader and the follower” (Northouse, 2013, p. 186). Transformational leaders are people who are recognized as “change agents who are good role models, who can create and articulate a clear vision for an organization, who empower followers to meet higher standards, who act in ways that make others want to trust them, and who give meaning to organizational life” (p. 214) Kouzes and Posner, culminating in their important publication, The Leadership Challenge, researched and developed a model of leadership that represented these ideals.